This is a challenge to help us get some of those books on out To-Be Read stacks read without the pressure of a review (unless we want to) or meeting any other challenge. These books are read totally Just For Fun. 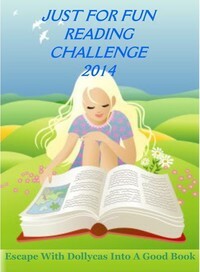 I have given just a brief review because I read the book JUST FOR FUN!! This month’s Just For Fun read has been on my To-Be-Read shelf for over 2 years. My daughter kept asking “Why haven’t you read that book yet?” almost every time she visited. Now with the movie coming out and the 3 of us wanting to go I knew I had to read this book now. No more excuses. I know I am probably one of the last people to read this book so I will give you just a brief review. I also don’t want to give anything away for those that haven’t read it or plan on just seeing the movie that comes out October 3. This is a really dark and twisted story. I was fully engaged from the start and Part 2 was a huge surprise but I was totally disappointed by the ending but my daughter loved it so I guess it is open to debate. Maybe my age has something to do with it. This was one really screwed up marriage. With all my reservations and conflicted feelings aside Gillian Flynn is an excellent storyteller. I was feeling a myriad of emotions while reading the story and it kept drawing me in. Then I wanted to throw the book at the end but I checked out a few reviews and talked to others and I am not alone. 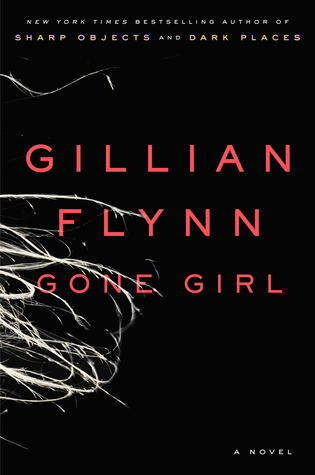 In fact there are almost 23,000 reviews on Amazon for Gone Girl ranging from 1 to 5 stars. A book like this is perfect for a Book Club because as soon as you finish it you want to talk about it. I imagine there have been some awesome discussions since this book came out in 2012. I believe a good book invokes conversation and this one sure meets that criteria. I’m older too and may just leave this one at the bottom of my t-b-r list. Thanks. Great review. You captured exactly how I felt about this book and the other Gillian Flynn books I read. Maybe it’s my age, too. It’s not the darkness. I have read Stephen King forever and true crime and a variety of books. But something about Gone Girl and her other books just left me unsatisfied. You are not alone I read this book this Summer too!!! It was on my TBR list so I was at the library and picked it up. I enjoyed the book but I sometimes enjoy reading about deranged characters. I was somewhat disappointed at the ending. I don’t know what I expected the end to be but I would recommend this book. I want to see the movie.